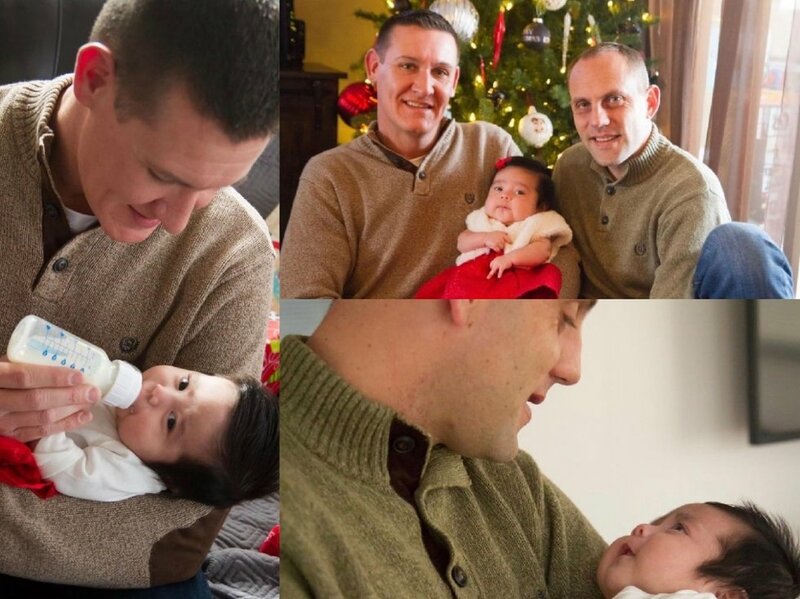 "A New Adventure": Congrats to Gay Dads Whose Families Grew in January! Wishing all of these gay dads whose families expanded a lifetime of happiness! Congrats to everyone in our community on their recent births and adoptions! Gay men go through a lot of ups and downs on the path to parenthood. It can be one of the most emotionally draining times in our lives. But as each of these families who are celebrating births and adoptions this month agree: it's worth every hardship. 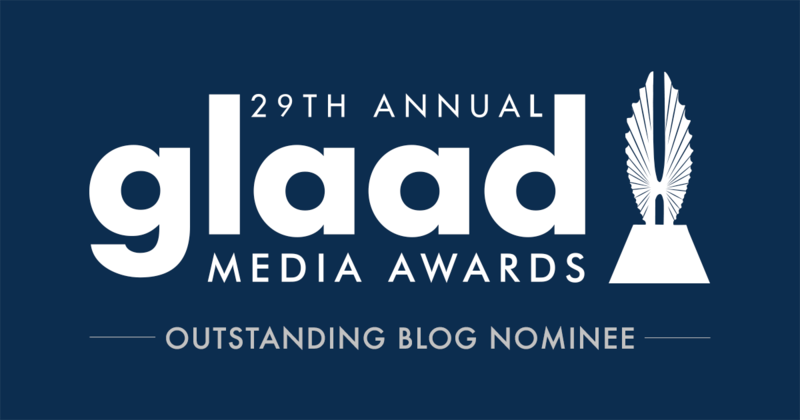 We are also excited to announce that this post is brought to you by Choice Network in Ohio. 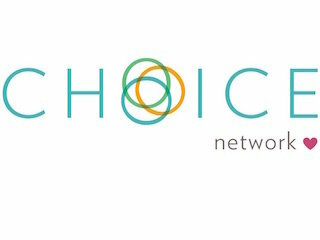 Choice Network is a national leader in LGBTQ adoption. They have a goal of 50% of their families being created with LGBTQ people. "It is our core value that love makes a family." We're thrilled to be partnering with Choice Network to offer our congrats to dads whose families grew this month! Congratulations new dads Josh and Adam on the adoption of their newborn daughter! This Dallas, Texas, couple always wanted to be dads, and on the night before Christmas, their dreams came true! "The feeling holding our daughter for the first time was indescribable," shared Josh. "We have a tremendous level of joy thinking about what the future will hold for our family of three." So far, despite the tiredness, fatherhood has been an incredible journey for the new dads. "While it has been tiring," said Adam, "every day brings a new adventure." Congratulations to David and CJ on finalizing the adoption of their youngest son, Logan! 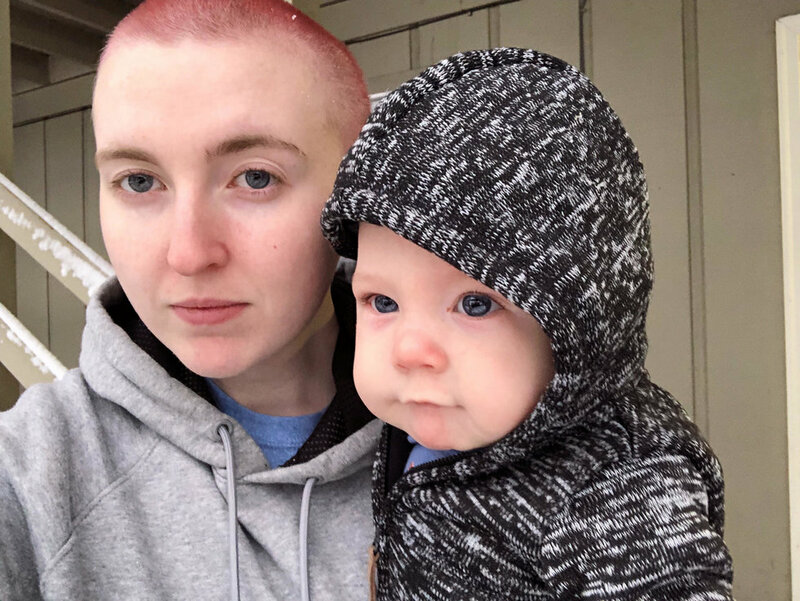 They adopted Logan who is 6 months old through the same agency, Adoption Choices of Nevada, who the husbands say work with loads of gay couples. How did the dads feel on the day Logan's adoption was finalized? "Ecstatic!" said David. "CJ and I talked kids, and specifically about having two, on our first date! It took a little longer than we had planned but we couldn't be happier that our family is complete!" Congrats to this Colorado family! Congratulations to Yari and Alessandro on the birth of their daughter, Zoe! Becoming dads has been a dream come true for Italian fathers Yari and Alessandro. 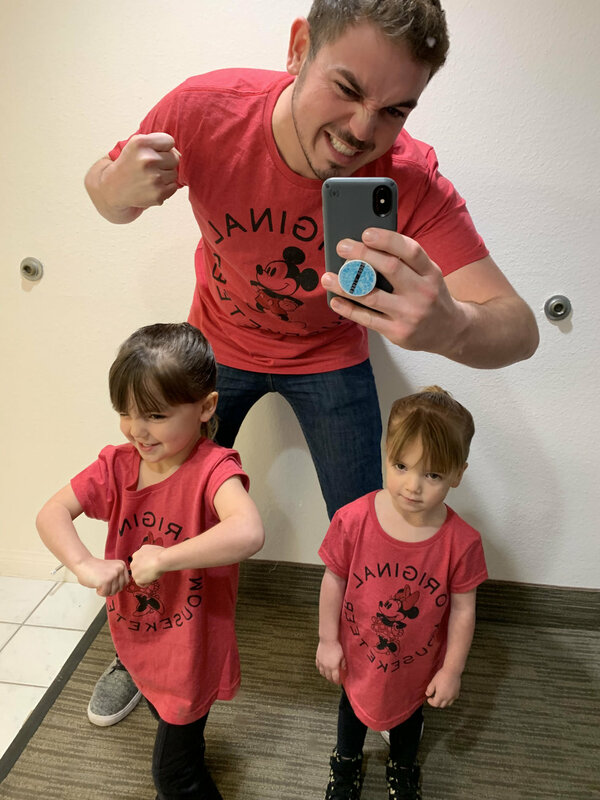 Their little girl joined their family in November 2018 via surrogacy in Los Angeles. "It's been years since I realized that, with all my strength, I would try to be happy and have a family," said Yari. And it was with that focus and drive, the dads achieved their ultimate happiness: fatherhood. Congratulations to JC and Wim on the birth of their twins, Liam and Luka! For new dads Wim and JC, their path to fatherhood was a two year journey that reached its destination on December 29, 2018. "It was exciting, emotional, tough, and a great blessing to us," said JC. The South African dads had two embryos implanted - one from each dad - and they were thrilled that both were successful. "We are so lucky that both implants attached and we are now dads to two beautiful boys who couldn't wait to join us and arrived on week 30," said Wim. "A great start to 2019!" When describing what it was like holding their sons for the first time, JC said they were so small it felt like they would break if touched. "However, once we held them, the whole world disappeared and the amount of love and joy overwhelmed us in a perfect moment of peace." Congratulations to Daniel and Jack on the birth of their twins! "Welcome to the world Berkowitz-Cohen Twins!" 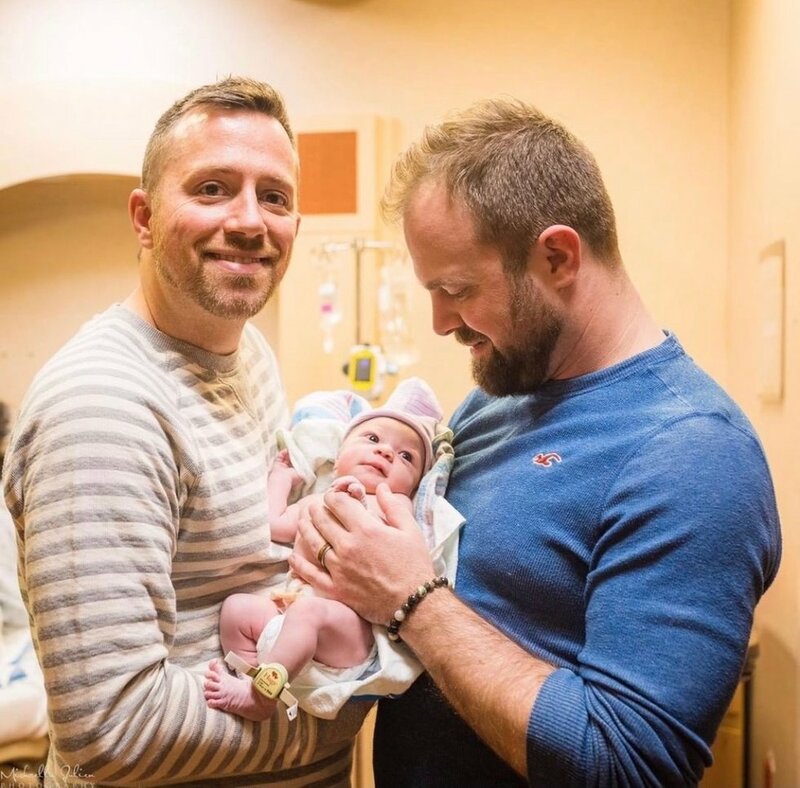 Ezra and Ava were born via surrogate on December 28, 2018, and their two dads were so excited to welcome them! "Holding our babies for the first time was surreal, exciting, and validating after all the time and effort dedicated to bringing them into the world," said Daniel. And how's life as new dads of twins going? "Not as crazy as you'd think," said Jack, "as long as you have one person per baby." The dads added that taking shifts to sleep was very important - we couldn't agree more! 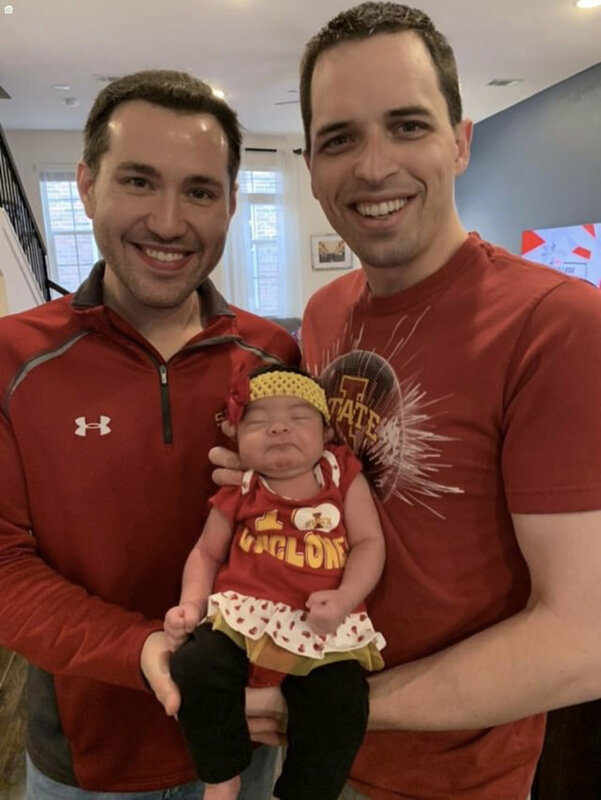 Congratulations to new dads Brandon and Mitch on the adoption of their daughter, Raya! Born October 4, 2018, Raya's dads first learned about her a day after she was born. They'd just been approved by their adoption agency less than a month earlier, and were thrilled when they got the call about Raya. "On October 5th they called us at 10:30am to ask us if we were interested in a baby that was born the night before," said Brandon. "We said we definitely were!" By 2:30pm, they heard that the birth mother had chosen them, and they had 5 hours to get everything ready then come collect their daughter. "It's been a life-changing experience and we can't imagine life without her," said Mitch. 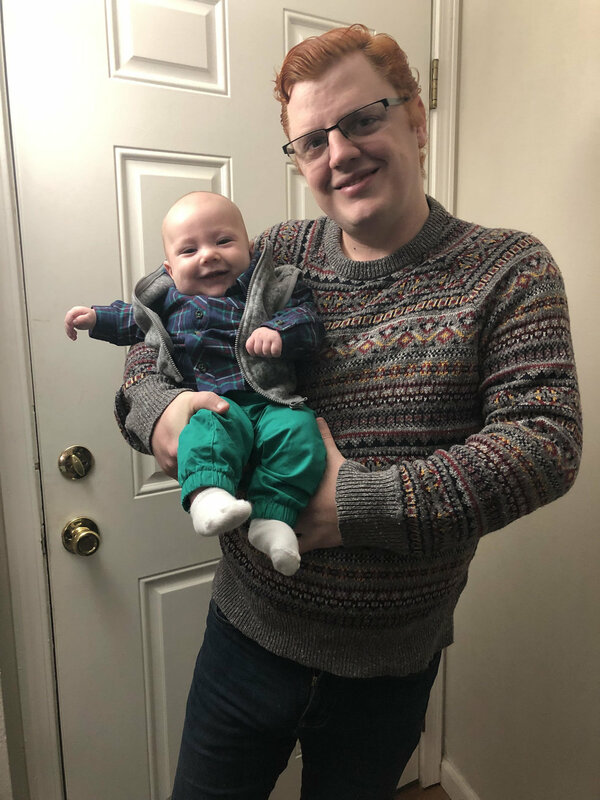 "Holding her for the first time made our dram of being dads a reality," added Brandon, "but it truly hit us when we loaded her in the car to go home the next day." Raya's adoption will be finalized in April 2019. 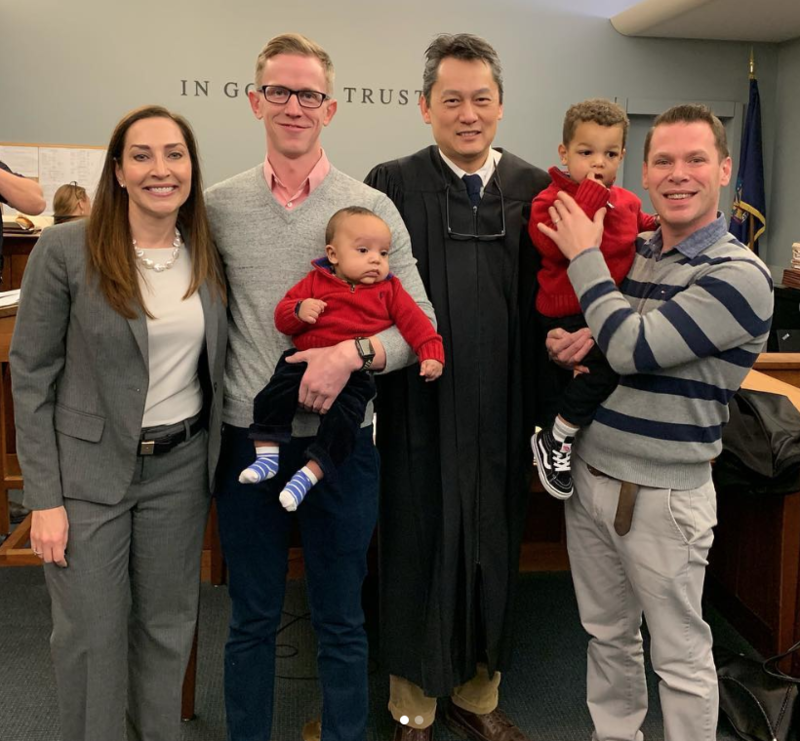 Congratulations to Brett and Jimmy on finalizing the adoption of the youngest, Jayce Peter! Two years ago, Jimmy and Brett became first-time dads when they adopted their eldest son Taylor. The weekend before Mother's Day last year, they received a call from Taylor's birth mom who was pregnant again, and she asked if they wanted to adopt again. They jumped at the opportunity. Jayce was born August 31, and his dads were there at the birth. Nine months later, his adoption was finalized. "We felt so relieved to finalize since Taylor was 9 months [by then]," said Jimmy. "We celebrated at my mom's house with immediate family and had a cake that said 'We are complete.'" Congrats to this forever family of four! Congratulations to Jason and Brian on finalizing the adoption of their daughter, Sydney! On December 20, 2018, at a little over six months of age, Sydney was officially adopted by her two dads, Jason and Brian. "We felt a combination of relief and joy once the proceedings were complete," said Jason. "Sydney has always felt like a member of our family and it means so much for it all to be 'official.'" 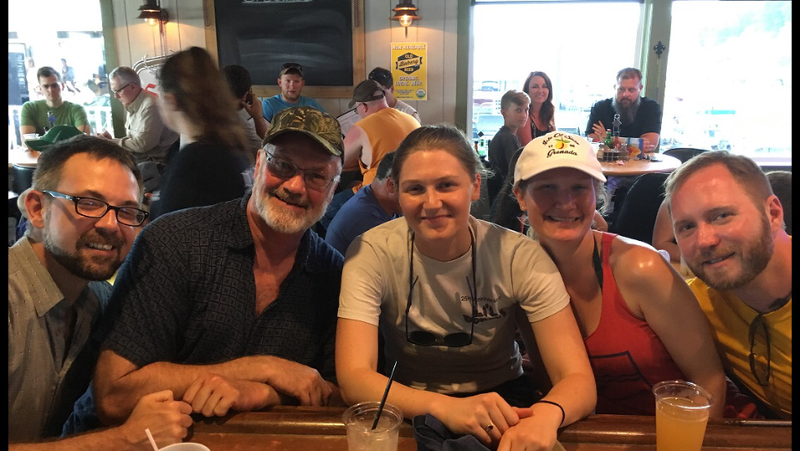 The Salt Lake City family celebrated at Hires Big H, a Utah classic which has accidentally become a go-to for all their family celebrations. 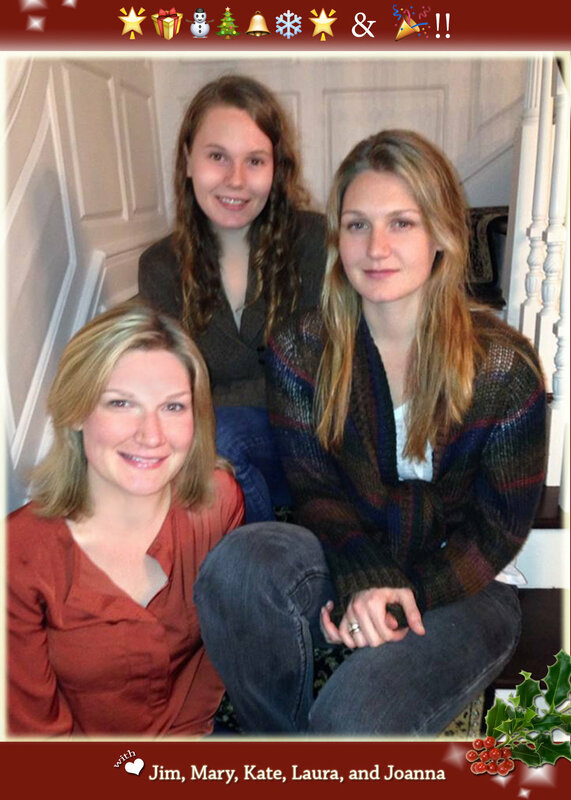 "Christmas is pretty great, but December 20 just might be our family's new favorite holiday." Congratulations to Jason and Micah on the birth of their daughter, Rowan! Rowan's birth mom specifically searched for a gay couple to be the adoptive dads of her child. The birth mom's brother is transgender and she wanted to be sure that the baby would grow up in a family that would welcome any gender identity or sexual preference." And so she selected Jason and Micah. The dads were even in the room when Rowan drew her first breath and Jason even cut the umbilical cord. 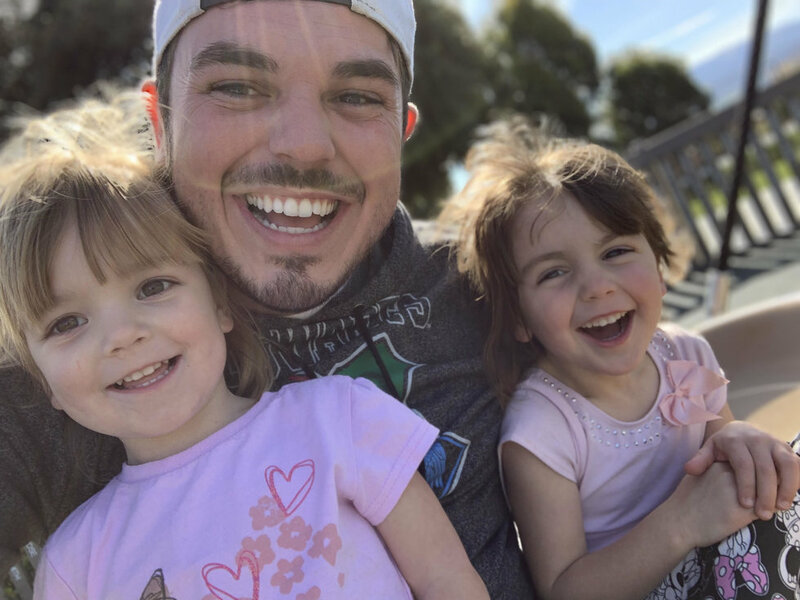 "It was really humbling and inspiring to see the birth mother go through so much pain, and sacrifice so much, all because she trusted that we could offer the child a warm and loving home," said Jason." On January 3, 2018, Rowan came into the word with her wide open. "She was ready to take everything in," continued Jason, "and to become a part of our world." "We are honored and overjoyed to be her parents, and we'll do everything we can to make her life wonderful." Love makes good families. Whether traditional or non-conforming to historically accepted definitions of family - we accept you. If you are ready and willing to participate in open adoption and honoring the pregnant person who has chosen you, you are welcome here. It's that simple. We also will fight for you. Choice Network does not shy away from hate. We are armed with well documented research, honest stories of our own, and the inherent truth that love makes good families. We proudly carry the Human Rights Campaign status of Leader in Supporting and Serving LGBTQ Families!